With the recent release of a provocative children's book entitled Melanie's Marvelous Measles, a debate has ensued regarding the effectiveness and wisdom surrounding measles vaccinations. When I first heard about the book, I went to Amazon to order a copy for myself. The amount of negative reviews was staggering. People were claiming that the information was "dangerous", "harmful" and "ill-informed". Some were even calling for the book to be banned. It took me a few minutes to read it from cover to cover. Rather than critique the book, which has already been done quite eloquently by others, I would like to talk about the widespread fear surrounding measles and the misinformation regarding the vaccine. References to measles can be found as far back as the 7th century. Measles is an RNA virus that was first isolated in 1954. A typical infection produces a characteristic skin rash starting at the head and progressing down the trunk and extremities. The rash is typically preceded by a high fever. Around this time, blue-white spots (Koplik spots) can be found on the mucous membranes. These are considered pathognomonic for measles. Other symptoms may include cough, runny nose, conjunctivitis, diarrhea, anorexia and lymphadenopathy. According to the CDC, prior to the introduction of the vaccine, measles was a nearly universal infection occurring most commonly in 5-9 year olds with 90% of U.S. children immune by age 15. Most kids recovered fully within a few weeks with life-long immunity. Reported complications from data collected between 1985-1992 included pneumonia (6%), encephalitis (.1%), seizures (.6-.7%), and death (.2%). These occurred most frequently in children under 5 and adults over 20. These complications may, in fact, have been exacerbated by allopathic interventions to treat common symptoms such as fever reduction using antipyretics. Many people are aware that the first licensed live-virus vaccine was introduced in 1963 (Edmonston B strain) but few know that there was also a kill measles vaccine (KMV) licensed that same year. That vaccine was pulled in 1967, however, after it was discovered that individuals who received the KMV and were subsequently exposed to the wild virus were afflicted with a more severe atypical form of measles. Today's vaccine, known as MMR, contains attenuated, live-measles virus (Edmonston-Enders strain) mixed together with mumps and rubella virus. There is an alternate version of the vaccine, known as MMRV, that combines MMR with the varicella virus. The measles virus is cultured on chick embryo fibroblast tissue and the vaccine contains human albumin, neomycin, sorbitol and gelatin. The 2013 CDC recommendations include 2 doses of MMR, the first at 12-15 months and the second at 4-6 years. CDC data appears to indicate that the live-virus vaccine has been very effective at decreasing classic measles incidence in our population, however, it can take little credit for the decreased mortality in the developed world considering the death rate had decreased over 98% prior to the vaccine. Never the less, vaccine advocates hail this as a victory. The problem is that few of them question whether it was wise to prevent children from acquiring this infection naturally. Many well-respected doctors and researchers believe that measles is a right of passage that allows a child's immune systems to develop and strengthen. It has been documented that kids in 3rd world countries who get a wild measles infection are less susceptible to malaria and parasitic infections. Medical literature from the 1940's documents children being cured of a kidney disorder known as nephrotic syndrome following measles. The number of classic measles cases in the US appears to have declined but any protection afforded by the vaccine is limited and often short-lived. Natural infection with wild measles creates long-lasting viral-specific and viral-neutralizing antibodies that are not acquired following vaccine-introduced infection. There are numerous documented cases of measles occurring in highly vaccinated communities which can be attributed primarily to short-term efficacy (secondary vaccine failure). This has important implications considering the fact that measles has an increased rate of complications in adults when compared to school age children. In 1973, persons 20 years of age or older accounted for approximately 3% of cases, however, by 2001 that number had increased to 48%. "Infants whose mothers were born after 1963 had a measles attack rate of 33% compared with 12% for infants of older mothers." [M]easles susceptibility of infants younger than 1 year of age may have increased. During the 1989-91 measles resurgence, incidence rates for infants were more than twice as high as those in any other age group. 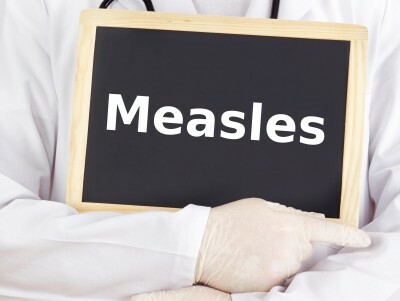 Measles in infancy is a risk factor for a fatal degenerative central nervous system condition known as Subacute Sclerosing Panencephalitis (SSPE). Could we be setting the stage for disaster if and when measles reignites here in the U.S. due to either imported cases from abroad or a novel mutated strain caused by the vaccine itself? I can predict, with absolute certainty, the response from our government health officials...more vaccines! Its great to be able to find this kind of information, as I know how difficult it can feel to try and put forth your arguments to the Medical profession as to why you might not want to vaccinate your child. I would like to say, however, that if you are choosing not to vaccinate that you also are taking care of your families nutritional requirements and have some basic skills in how to manage ' infections ' & fevers.